Face Halo is the revolutionary new way to remove even stubborn makeup with just water. Made with HaloTech fibres 100 times finer than human hair, the super soft Face Halo will effortlessly wipe away makeup and leave your skin feeling smooth, clean and healthy. With up to 200 uses, Face Halo is the simple, natural and economic way to leave your skin feeling fresh cutting down your one use waste helping you be a little more eco conscious . With soft satin edges. 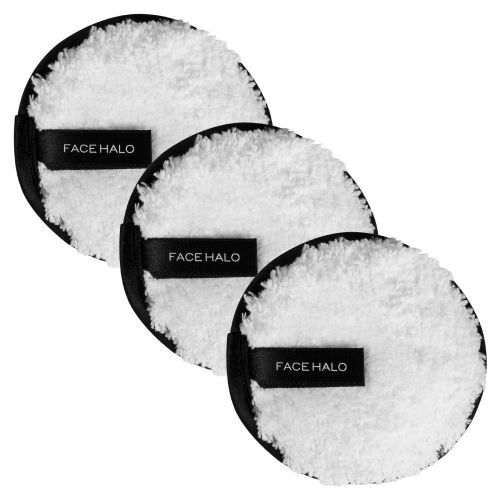 Face Halo Pro Makeup Remover Pads gently and efficiently remove heavy makeup from deep within the pores. 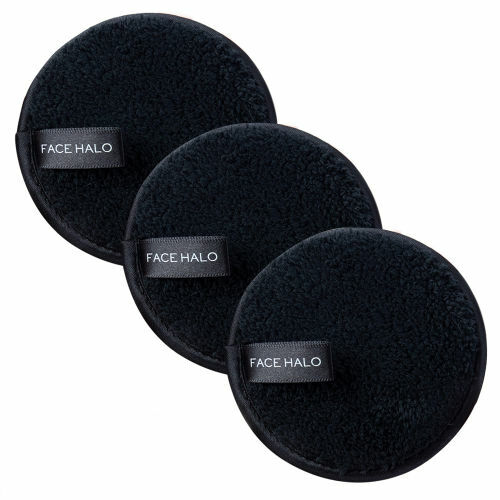 Dual-sided and reusable, the face pads are designed with a plush black microfibre 100 times finer than human hair to ensure a thorough clean using only water.